There isn’t a hot beverage I love more than hot cocoa. My husband considers himself a coffee and beer enthusiast and over the years I think I’ve come to give myself that title for hot chocolate. Last night we kicked the season off right with my parents and grandma with a delicious hot chocolate bar. There were plenty of treats, toppings, and chocolate choices to meet everyones needs. For the longest time I’d buy packaged hot chocolate and mix with milk. I could never get the dutch cocoa recipe quite right; it always tasted too bitter. A few years ago my mother-in-law stumbled across a very special hot chocolate; a heavenly can of chocolate shavings. Nothing special just add hot milk. I had an aha moment and couldn’t believe I never thought of that before. 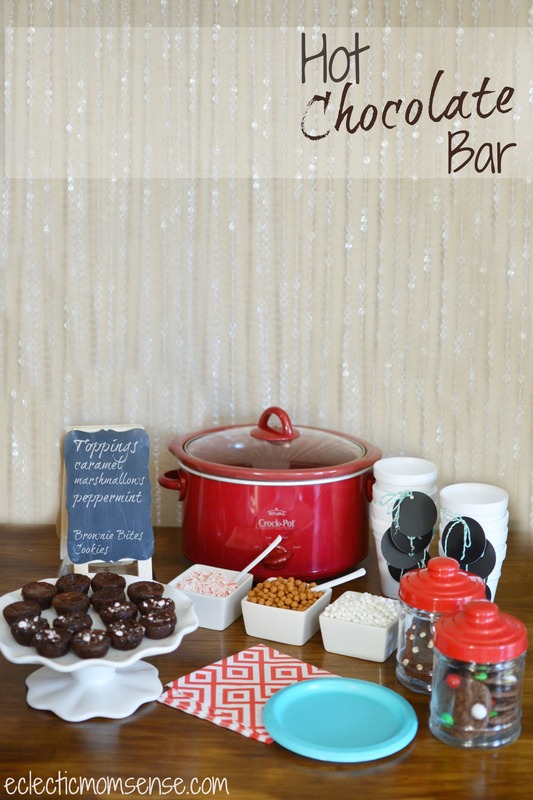 The hot chocolate bar itself was quite simple. 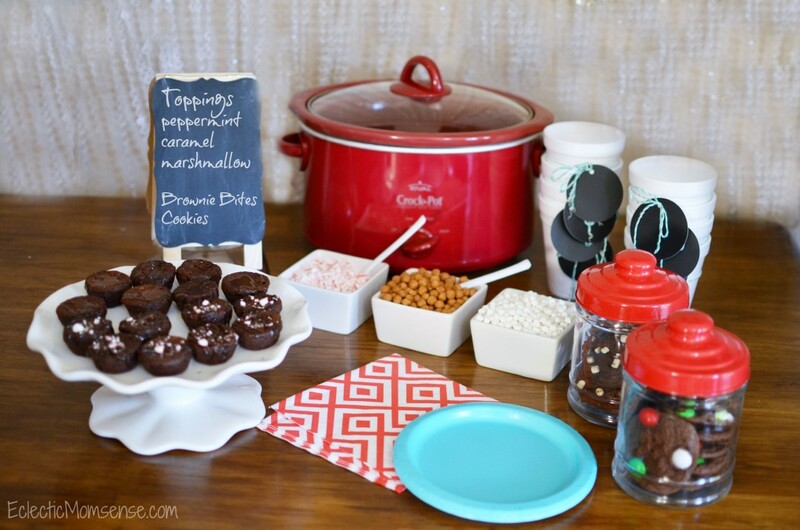 A crockpot to keep the hot chocolate warm and fun chalkboard embellished styrofoam cups. 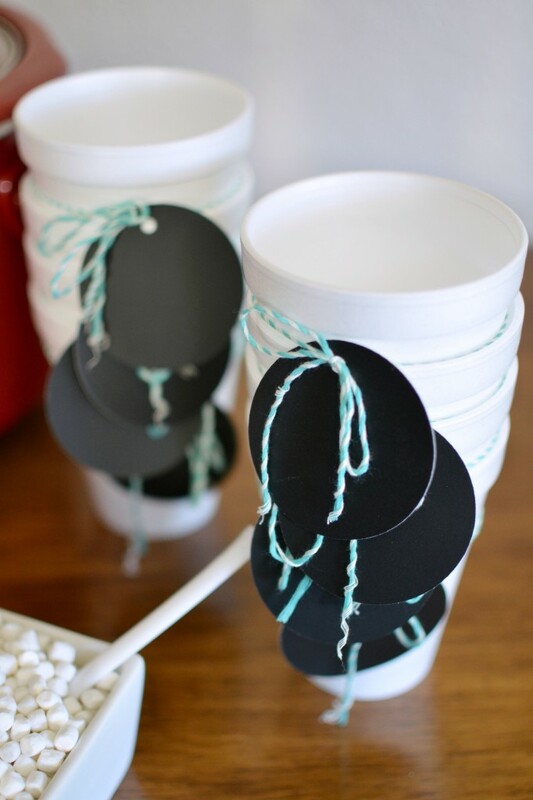 I used my Cricut to cutout circle tags and tied on with a fun mint bakers twine. We used chalk to mark each guests names so they could go back for refills. We offered up white chocolate and dark chocolate for the base. Then everyone could personalize their drink with a variety of toppings. Some went the; a little bit of everything route, while others had a specific flavor in mind. The treats complimented the hot cocoa. 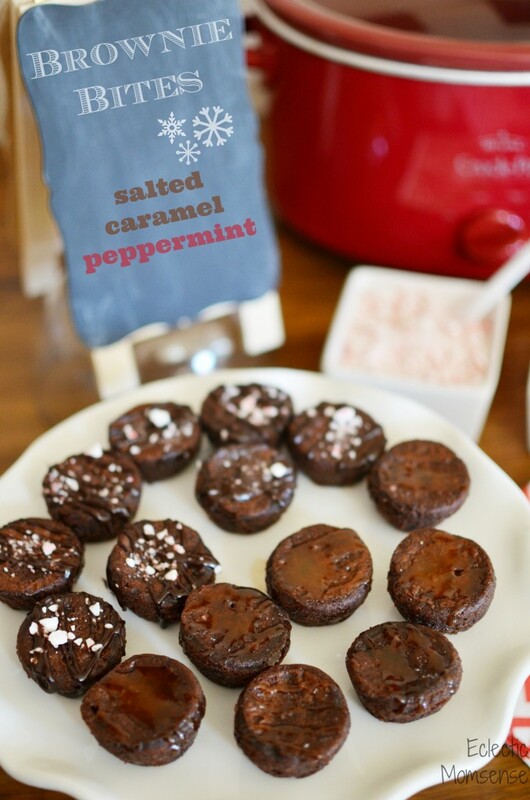 I started with a chocolate brownie or cookie base and topped with the flavors of mint, caramel, marshmallow, or peppermint. 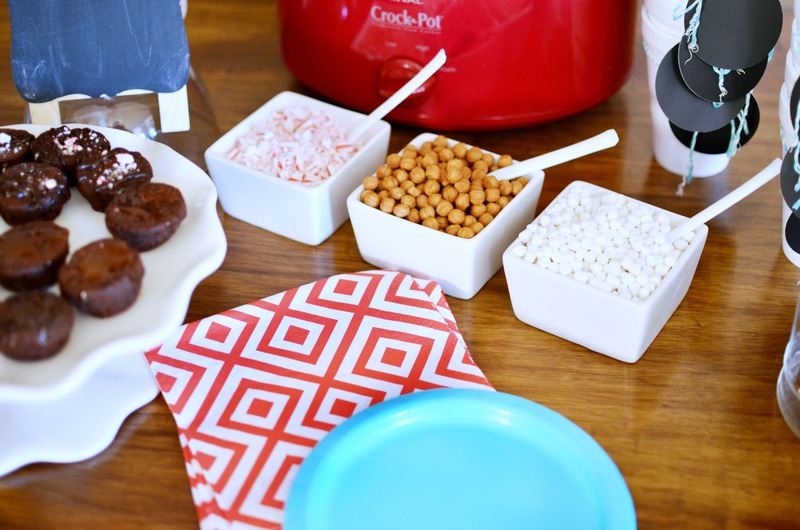 They were the perfect pairings for our fun little hot chocolate bar. How do you like to top your hot chocolate?